A Shropshire hunt trespassed onto private land owned by the Wildlife Trust and showed 'huge contempt' towards nature lovers, it has been claimed. Shropshire Wildlife Trust was informed that members of the Ludlow Hunt took horses and dogs across its largest nature reserve in the county this week. On Thursday, the hunt was spotted by local residents galloping across the 500-acre Catherton Common on the Clee Hills. Residents contacted the charity, which forbids hunts to use its land, due to fears that it would disturb wildlife. Jan Mckelvey of Shropshire Wildlife Trust said: “We have a very simple policy that we don’t allow hunts on our land because of the disturbance it causes to wildlife and in the past we’ve written to all the hunts to make this clear. Trespass on nature reserves is an issue with many of the Shropshire hunts. The Catherton incident is believed to be the Ludlow Hunt, and on December 22 the South Shropshire Hunt crossed The Hollies nature reserve on Stiperstones. Last September the Tanatside Hunt was turned away from Holly Banks nature reserve near Melverley. The trust is writing to all the hunts to remind them again of its policy and the need for them to obey the wishes of landowners. Earlier this month the South Shropshire Hunt was banned from National Trust land on the Long Mynd. 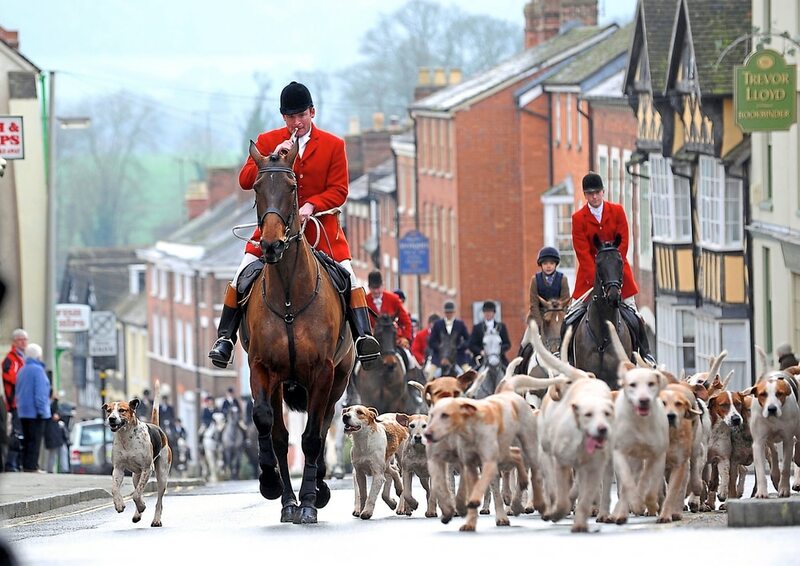 The trust has cancelled its controversial licence allowing the hunt on to its land. The trust put the announcement that the remaining dates of the season were cancelled on its website. There were set to be events on January 8 and 29. It came after a photographs were taken by Shropshire-based protestors claiming to show foxes escaping from hounds in December. However the hunt said the allegations were “unsubstantiated” and will continue to hold meets in the future. No one was available for comment from the Ludlow Hunt when contacted for comment.